Top Rank’s CEO Bob Arum has continued to criticize last Saturday’s non-performance by Mikey Garcia. Garcia, a four division world champion, moved up by two weight classes to challenges IBF welterweight champion Errol Spence at the AT&T Stadium in Arlington, Texas, March 16. 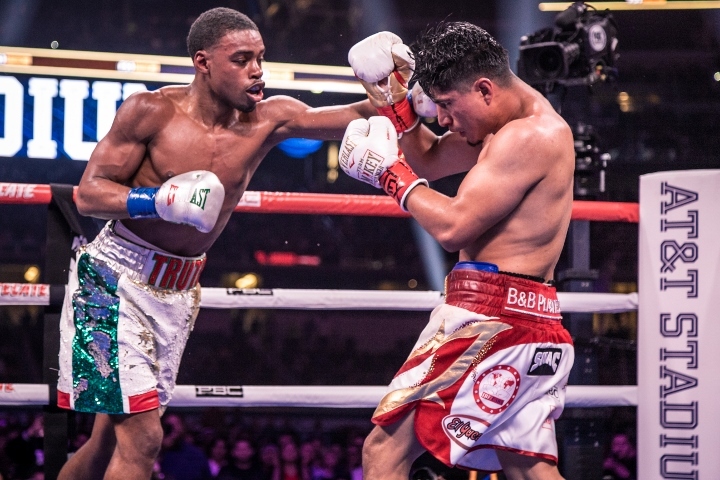 Spence dominated Garcia over 12 rounds for a very lopsided unanimous decision. He won every round on all three of the official scorecards. After the fight, Arum took to social media and claimed Garcia did not enter this high profile pay-per-view fight with the intention of winning it. Arum and Garcia have had a rocky relationship. The boxer was once promoted by Top Rank and they eventually parted ways after a two year legal battle. Since leaving Arum, Garcia’s career has been pushed by Al Haymon’s Premier Boxing Champions. “… he took the fight saying that he was going to try to win, but he just went there to survive,” Arum said to ESPN Deportes.